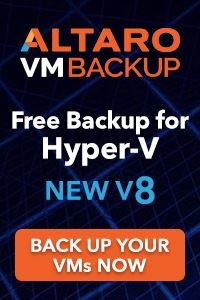 One of the biggest challenges a lot of customers are facing, is the capability to provide access to files everywhere and have DR plans in place. 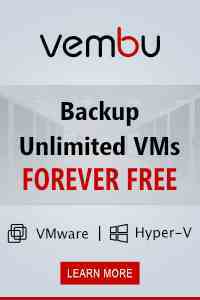 This becomes especially true when you are dealing with classic file server infrastructures. 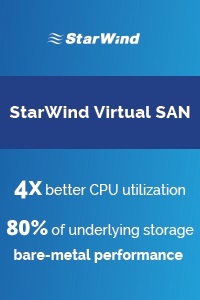 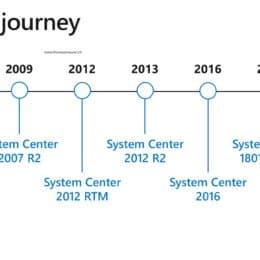 Where it is difficult to manage capacity, availability, replication and much more. 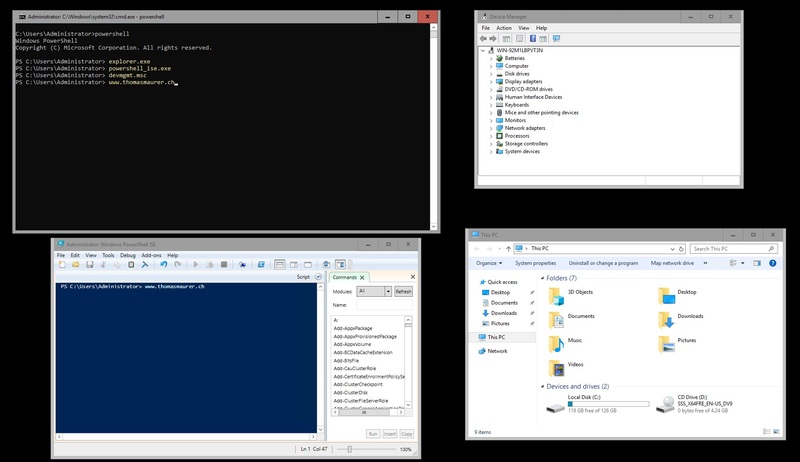 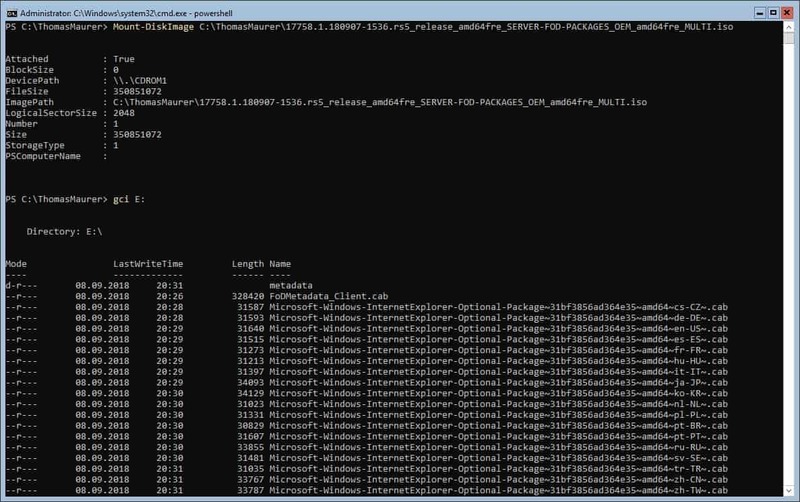 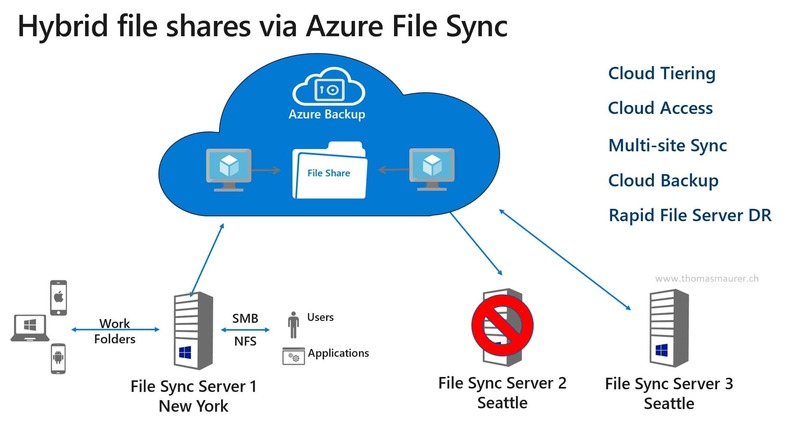 The Azure Storage team is addressing that need with Azure File Sync. Azure File Sync allows you to sync your file servers with an Azure Files. 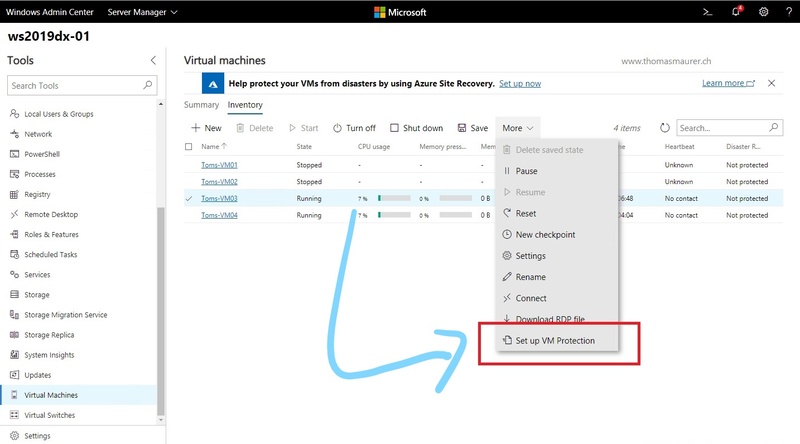 Azure File is a simple, secure, and fully managed cloud file share solution, using SMB 3.0 and HTTPS. 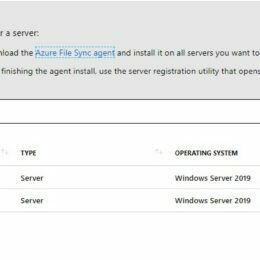 In this post I will cover how, Windows Admin Center will help you to deploy Azure File Sync, if you want to know more, check out the Azure File Sync documentation page. 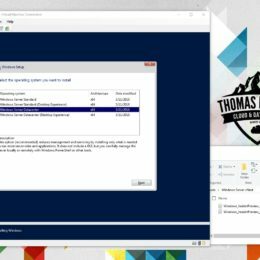 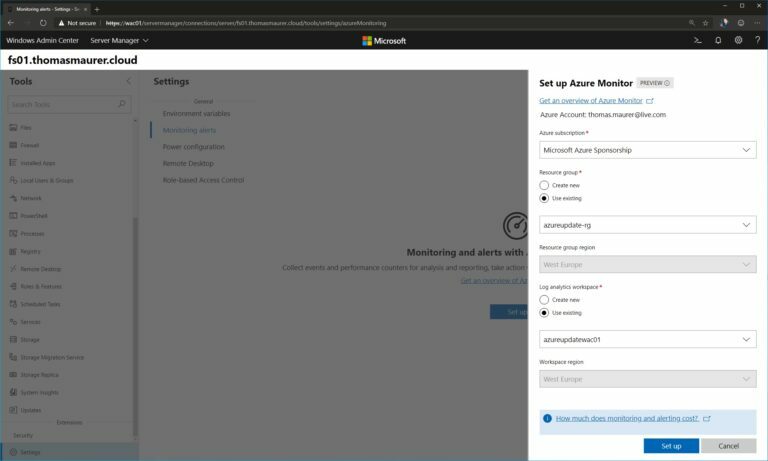 As mentioned in blogs posts before, Windows Admin Center allows admins to extend there on-prem environments with hybrid Azure services. 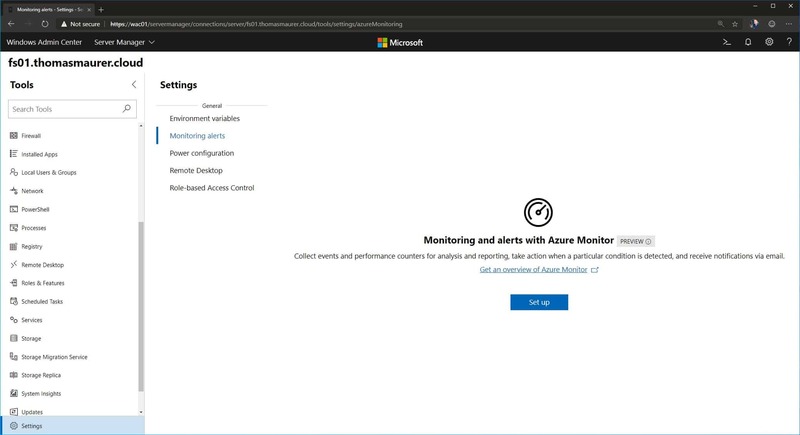 The latest addition is the integration of Azure Monitor in Windows Admin Center. 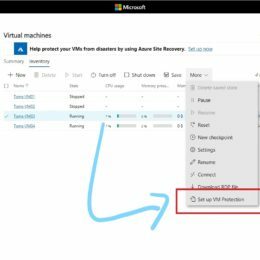 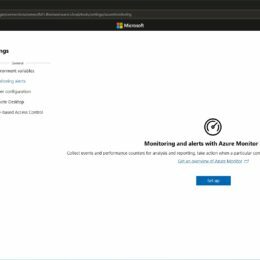 This allows you to collect events and performance counters from Windows Server to run analytics and reporting in Azure and take action when a particular condition is detected. 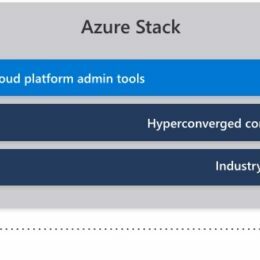 This can then be a notification (SMS, email, push notification) and/or a direct action using Azure Logic Apps, Azure Functions, Azure Automation Runbooks, webhooks or integration into ITSM tools. Setting up the Azure Monitor connection in Windows Admin Center is simple. 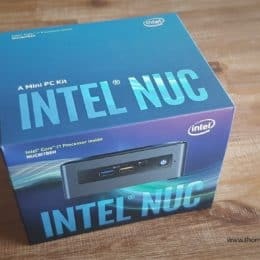 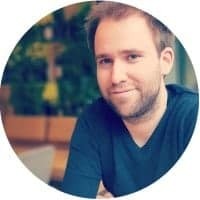 Select the server you want to connect to Azure Monitor. Go to Settings and then Monitoring Alerts. 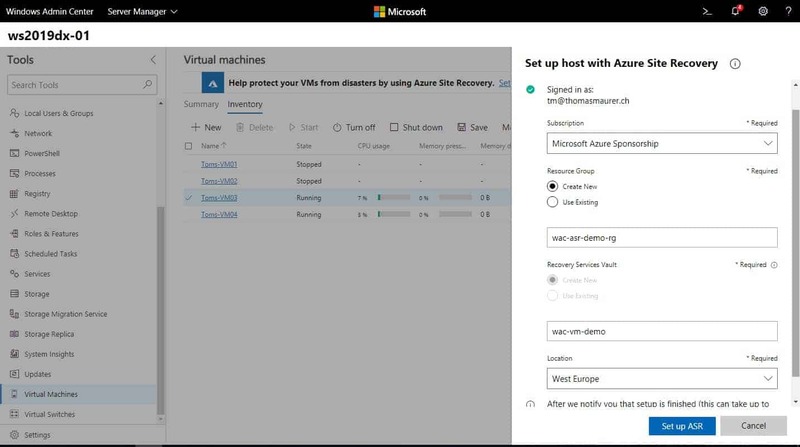 Here you will be able to configure the server with the right Azure subscription, resource group and log analytics workspace.